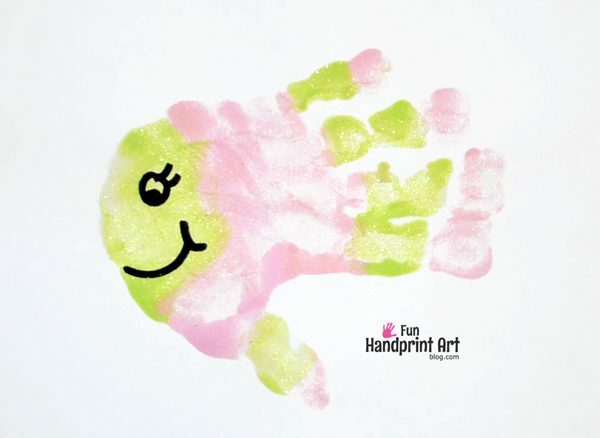 If you have been following us throughout the years, then it’s no secret that we love making handprint fish. They are so much fun to make! Since it has been awhile since we last shared fish handprints, I want to share these pink, green, and brown colored fish prints I found while sorting through/organizing photo albums. The first one was actually used to make our old blog header and grab button images! Besides handprint turkeys, fish handprints are probably the second or third most popular craft to make with handprints. They are fun to make in the classroom for a preschool or kindergarten craft. The possible designs for the fish are endless! Make these with just one stripe, one color, dots, or anything else the kids wish to do. Get out your paint colors and have them ready to use along with a different paintbrush for each color. I also set out a paper towel to lay the paintbrushes on when moving from one color to the next. 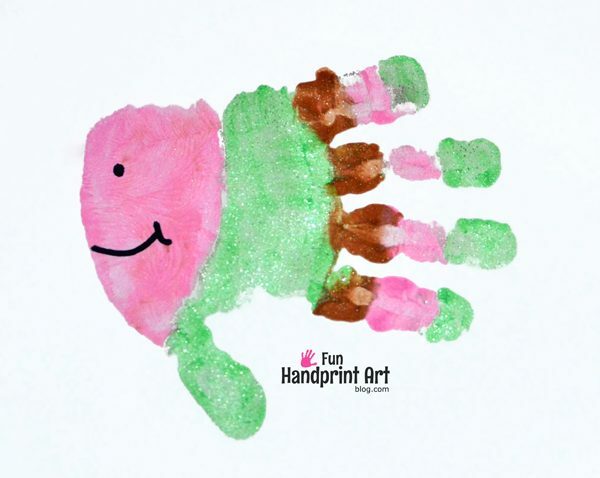 For these handprints, we used glitter paints since my daughter loves things to sparkle….he,he. 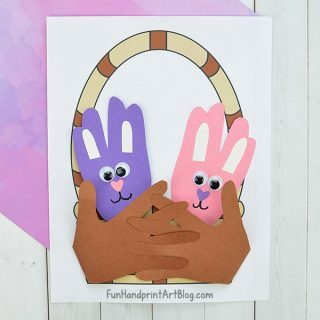 After you get the design painted, have the child hold their hands so their fingers are somewhat close together (or even touching) instead of spread apart. 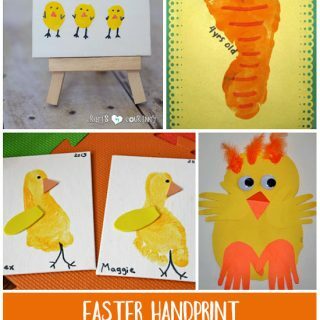 Place the handprint sideways on the paper/cardstock. Let Dry. Add eyes and a mouth plus any other embellishments you wish to add (check out our jewel gem fish!). For more fish handprints and under the sea fun, browse through or ocean crafts archive! How awesome! 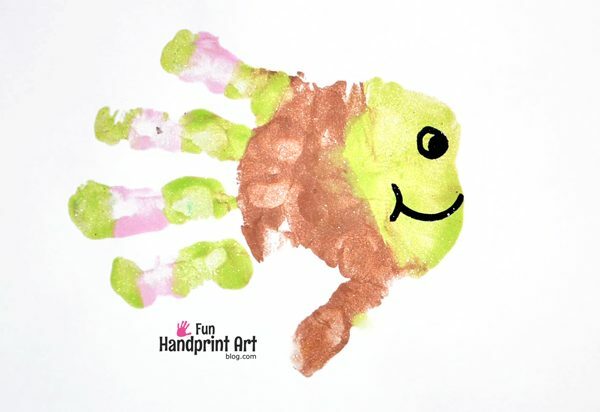 We love handprint fish, too!